Available California Pines Properties: WHERE IS CALIFORNIA PINES? 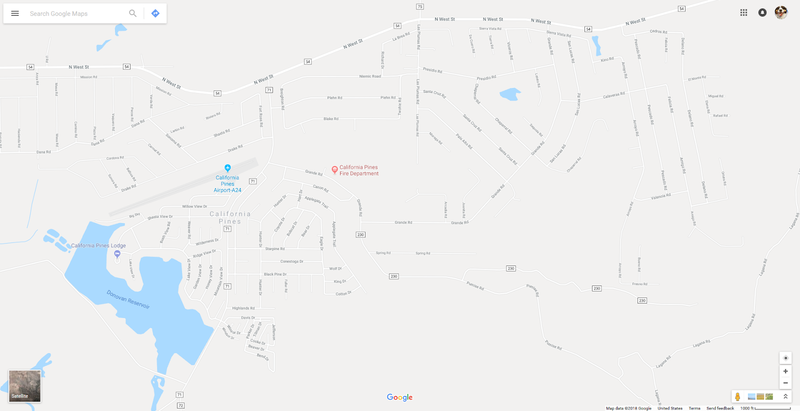 California Pines is located about 10 miles southwest of Alturas, California, which is about as far northeast as you can go and still be in California! Both the Oregon and Nevada borders are just an hour away. Cal Pines occupies a huge 15,000 acre area surrounded by cattle ranches, forest service properties, and timber land. About half of California Pines is located in the "Hill Units" above 4300 feet in a forest of beautiful juniper, fir and pine. 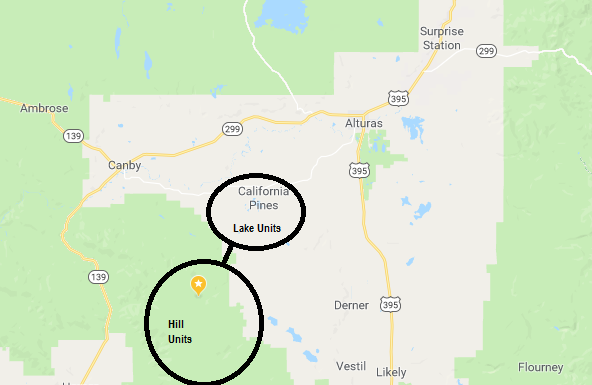 The remaining area is located on rolling hills in the valley adjacent to or near Donovan Reservoir (also known as Cal Pines Lake). These lots are primarily surrounded by high desert scrub with a few scattered juniper trees, but most have gorgeous views of the Werner Mountains and Mount Shasta. Many also have a view of the Lake, which hosts a variety of waterfowl year-round. 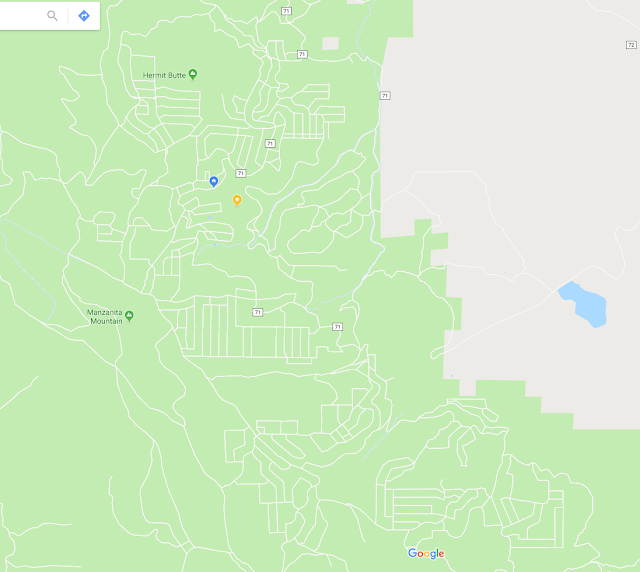 NOTE: If you use Google Maps to look up any properties in California Pines, enter the road name and "Alturas, CA". Don't bother typing in "California Pines". It confuses the system.